A campaign to protect the Khimki forest took a dramatic turn late Wednesday when dozens of people stormed the Khimki town administration building, pelting it with smoke grenades and smearing slogans on the walls. Police did not detain any assailants but instead detained nine environmental activists camping out in the Moscow region forest, which is slated to be partly destroyed to make way for an $8 billion federal highway. Unidentified anti-fascists have claimed responsibility for the incident, saying ecologists and left opposition activists also took part in the attack. The attack on the administration building in Khimki, just north of Moscow, happened at about 8:15 p.m. Wednesday, Moscow region police said. It left the building with broken windows and covered in graffiti reading “Save the Russian Forest,” according to Antifa.ru, a web site for anarchists and anti-fascists. No one was injured because the staff had left for the day, the Khimki administration said in a statement, adding that the building suffered “considerable damage,” particularly to an art gallery it housed. 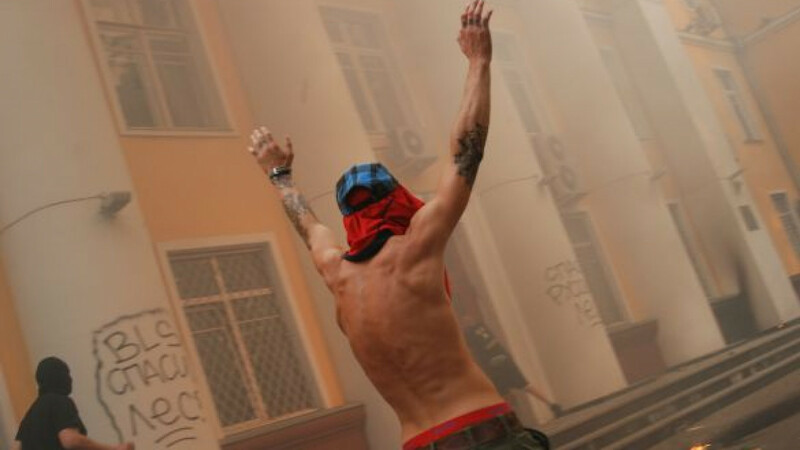 Security guards present in the building did not resist the assailants, whose number was put at 300 by Antifa.ru. The Khimki administration said between 100 and 150 people stormed the building, while the police, who described the incident as “an insolent bandit attack,” put the number at 90. The administration denounced the attackers as "extremists" who were "fulfilling a specific order" in a "selfish manner." It did not elaborate on its accusations but said the town had nothing to do with the highway because it was a federal project. 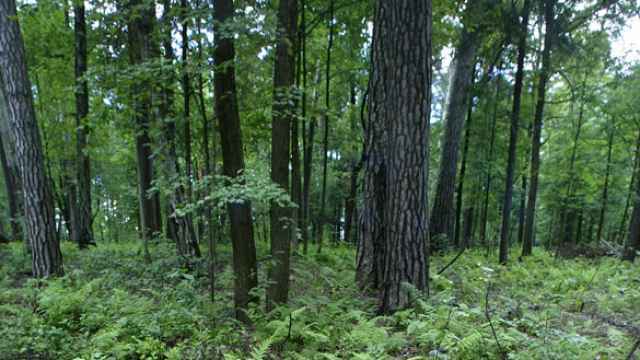 But it was Khimki Mayor Vladimir Strelchenko who suggested earlier that the highway, which is to connect Moscow and St. Petersburg, pass through the 1,000-hectare forest of centuries-old oak trees. He said this route was preferable "so that the road doesn't pass through residential areas, where there are dachas and garden plots." 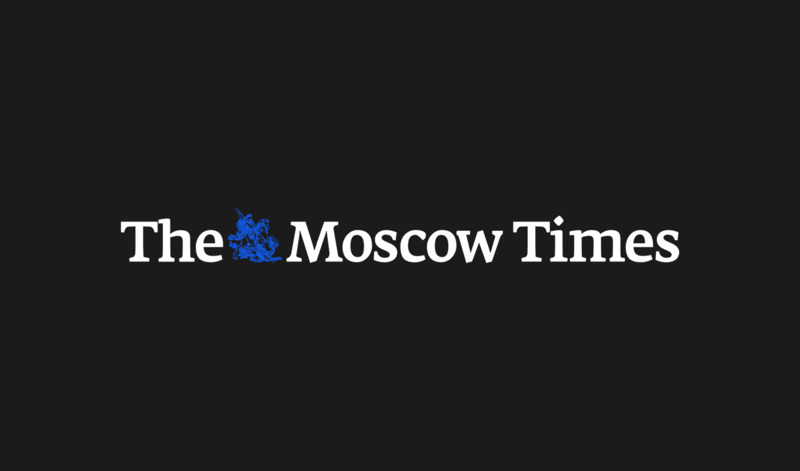 Moscow regional police have opened a hooliganism case into Wednesday's attack, and anyone charged and convicted will face a maximum sentence of seven years in prison. Overnight, police entered the environmentalists' camp in the Khimki forest, saying they were acting on orders from Moscow region Governor Boris Gromov, who had banned the activists from the deforestation site, Interfax reported. One of the detained activists, Yelena Maximova, was fined by a local court Thursday for taking part in an unsanctioned gathering and resisting police, another detained activist, Yaroslav Nikitenko, said by phone. Several others, including leader Yevgenia Chirikova, were to appear in court later Thursday. Repeated calls to Gromov, the Khimki administration and Moscow region police, as well as Chirikova's cell phone, went unanswered Thursday afternoon. Meanwhile, Prime Minister Vladimir Putin's spokesman Dmitry Peskov said Putin would not reconsider the deforestation order because it was legal, Russian News Service radio reported. Just hours later, opposition news web site Grani.ru said the logging would be suspended for the duration of a new court hearing contesting the legality of the deforestation. The appeal to halt the deforestation was made at the request of Anton Belyakov, a State Duma deputy with A Just Russia, the report said, without elaborating.